The first of what will prove to be many purchases. I had first discovered Steven Stamps several months ago on Arachnoboards where he had posted several tarantulas for sale on the For Sale/Trade/Want to Buy board. I was immediately impressed with his prices and the number of species he had available, and a quick look through his review thread revealed pages of glowing testimonials. 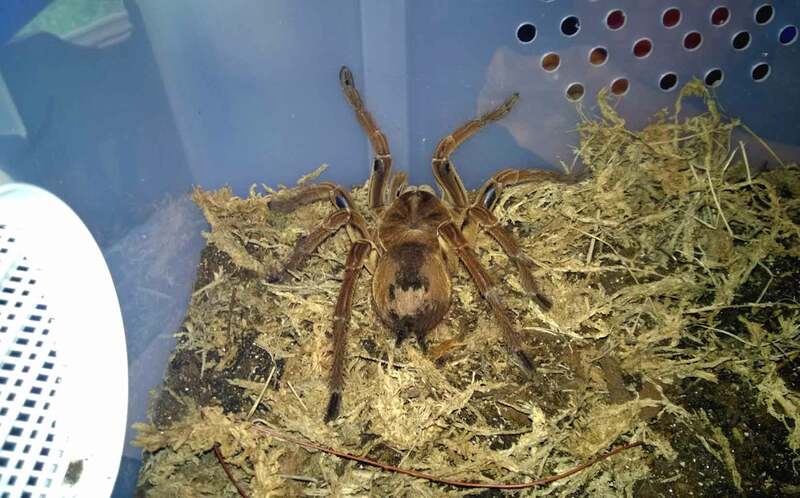 It wasn’t until last month that I stumbled on his newly-launched web store with a $50 unsexed T. stirmi sub-adult for sale that I would finally make my first purchase from him. The first, but definitely not the last. A diverse offering of Ts at awesome prices. The first thing that struck me about his site was the number of tarantulas he had available and the diversity of his stock. He had everything from rarer Aphonopelma, Avicularia, and Lasiodora species, to the more common Poecilotheria or Brachypelma species. There was definitely something for every type of collector. There were also several females for sale for anyone looking for breeders. His prices were fantastic overall, with many species selling for much less than I’ve seen elsewhere. Communication was great, and all of my emails to him were answered in a matter of hours. Mr. Stamps was kind enough to hold the T. stirmi for me after paying so that I could add a few more tarantulas to the purchase in a couple weeks to get more out of my shipping costs. I though that was a fantastic gesture. He also worked with me to ship my package on a particular day so that I could be sure I would be home to receive it. 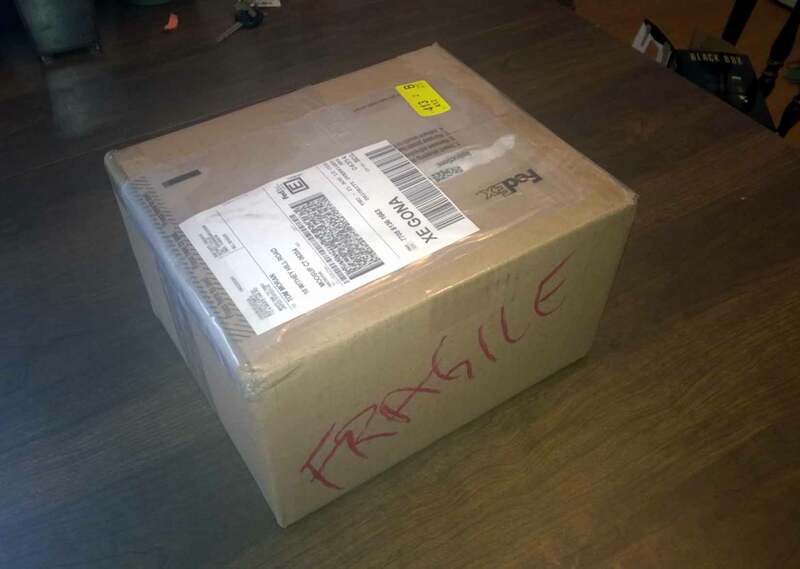 Top notch shipping and packing! My animals were shipped next day, and the package arrived safe and sound. 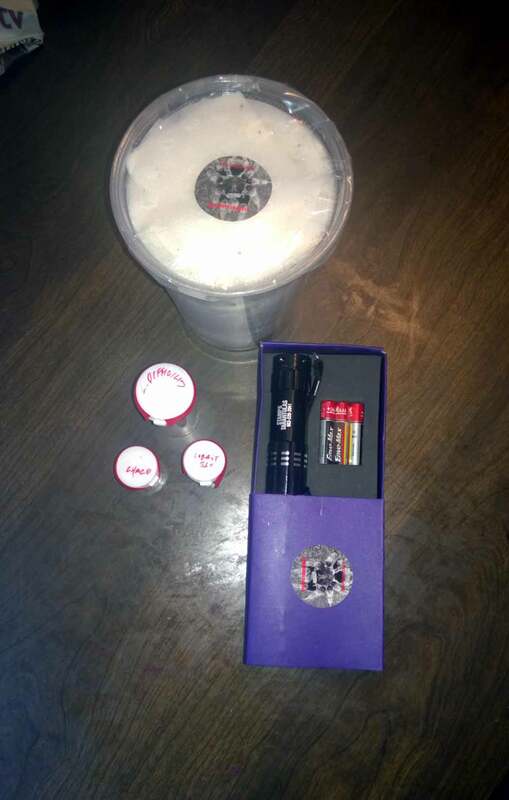 The Ts were expertly packed in a foam-lined box with plenty of padding and even a cold pack to protect the tarantulas from the high temperatures. The individual Ts were safely nestled away in either large deli cups (for the T. stirmi) or plastic dram bottles (for the H. lividum, L. difficilis, and G. pulchripes slings) and padded with newspaper. Stamps also included an awesome flashlight as a free gift. 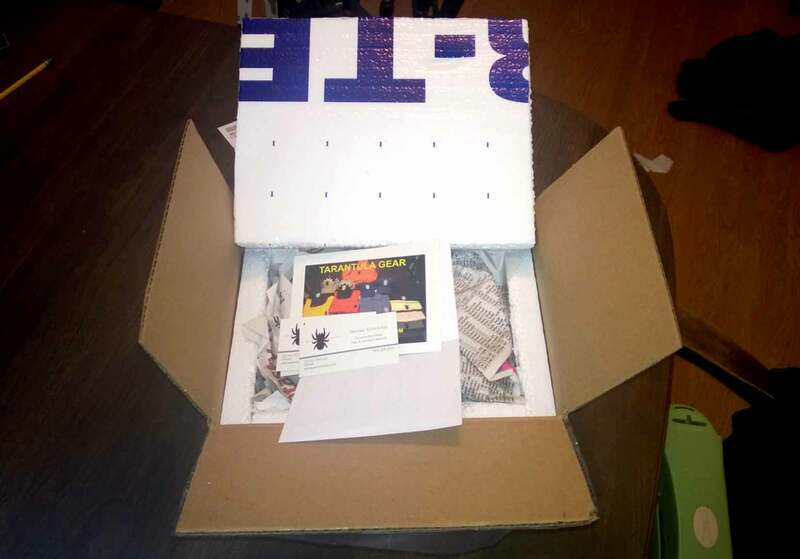 A package from Stamps Tarantulas. 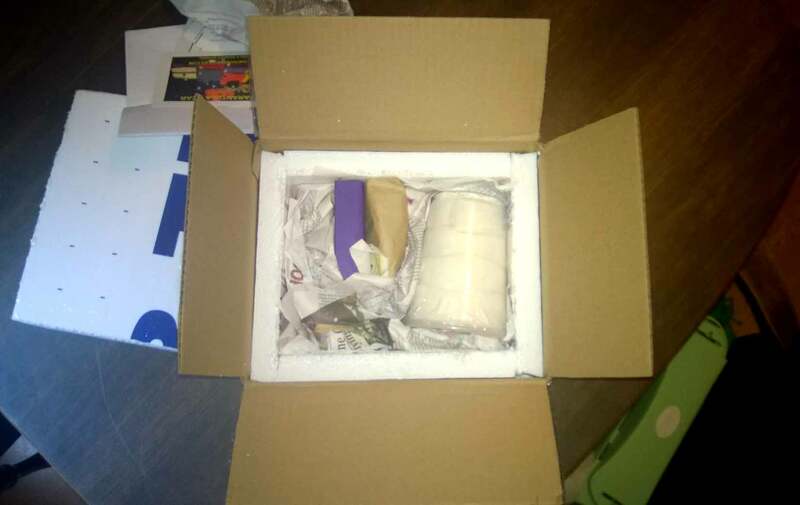 The package from Stamps, obviously well padded and insulated with foam. My package from Stamps. Notice how well-packed the specimens are. The contents of the box removed. The animals themselves were in excellent shape, with all four emerging lively and sporting plump abdomens. Three of the Ts ate the first night; the fourth was in premolt, but has since molted and ate. It has been a few weeks, and all are doing fine. I was particularly impressed with the condition of the T. stirmi. I had seen many pictures of larger T. stirmi being sold that looked thin or haggard, and I worried a bit that my new acquistion might need some TLC. This beast, however, was was in AMAZING shape, and has acclimated to his new enclosure smoothly. My new T. stirmi shortly after being housed. A great new online dealer. I was 100% satisfied with my first purchase from Stamps Tarantulas, and I’m already planning my next order. Mr. Stamps carries a variety of species at great prices, and his communication, packing, and shipping are all top of the line. He has also proven willing to work with customers, which is always a plus. I highly recommend this vendor! As with most vendors, be sure to sign up for the newsletter to receive information on new stock and awesome promotions.